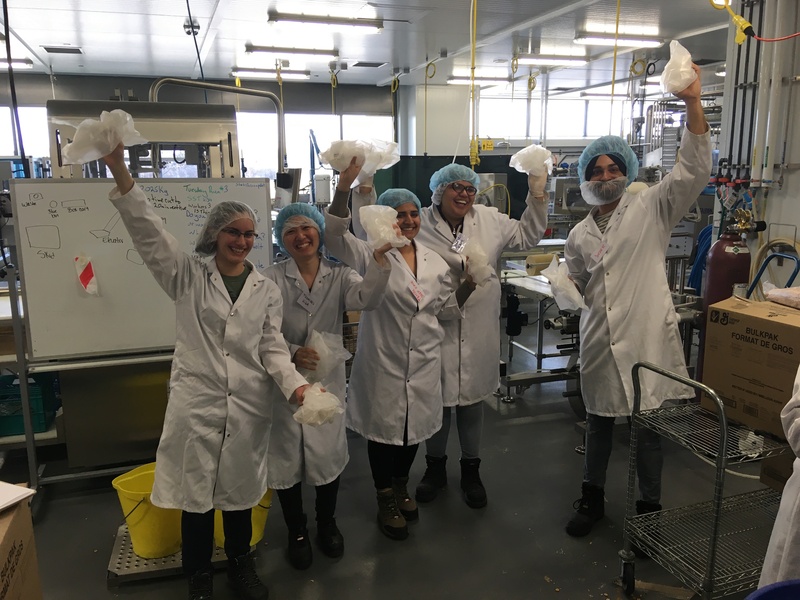 Students in Conestoga’s Operations Leadership in Food Manufacturing graduate certificate program are using their coursework to help local charity Nutrition for Learning with its community-based breakfast programs. Students in Conestoga’s Operations Leadership in Food Manufacturing program have been helping local non-profit Nutrition for Learning with its breakfast programs since 2016. The organization, a registered charity since 1997 that aims to ensure students are well-nourished so they can enhance their ability to learn, serves children and youth in Waterloo Region through delivery of breakfast programs for more than 20,280 students in elementary and secondary schools - that’s 64 per cent of the student population in the region. The breakfast programs provide students with three food groups for each meal; every term, Conestoga students package several skids of cereal into single-serve portions for the breakfast deliveries. It's a task that Nutrition for Learning volunteers used to complete by hand. Conestoga’s Institute of Food Processing Technology features an 8,000 square-foot plant with processing lines for beverages, baked goods and vegetables, as well as a food testing laboratory. The facility is the only one of its kind in Canada and supports one of the largest manufacturing sectors in the province. Training opportunities are provided in a variety of areas including food safety, food processing techniques, packaging and plant supervision. Garcia said students have packaged cereal for the Nutrition for Learning programs since 2016. The Operations Leadership in Food Manufacturing graduate certificate program is designed for students who have completed a degree or diploma in science or engineering, and who want to be prepared for an advanced supervisory career in the food manufacturing industry. The program offers a suite of courses designed to develop skills and knowledge with direct applicability in the food manufacturing environment. Applications are still open for the September intake: visit the program page for more information.